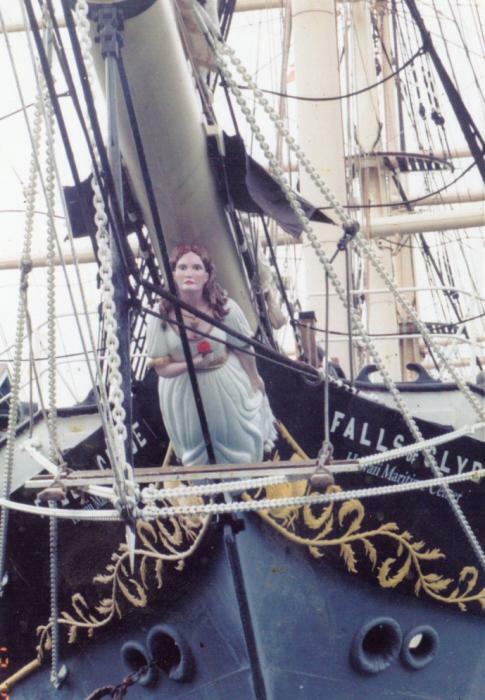 Falls of Clyde is the only surviving iron-hulled, four-masted full-rigged ship. She's presently a museum ship in Honolulu. But she won't be much longer if the museum has her way -- they plan on scuttling her because they (reckon they) can't afford to keep her afloat any longer. Wikipedia has an article on the ship herself. And the Wooden Boat Forum has a thread running here, which gives details of the actions taken to date to save her. If, like me, you'd like to do something to try to save her, you can sign a petition here. Please do. Once she's gone there are no more.